Following one hefty delay, Dark Souls Remastered finally reaches the Switch, taking pride of place in the system’s winter line-up. Worth the wait? Nintendo Life’s 9/10 would suggest so. “While it’s no less forgiving – and its menus are a little fiddly – this slick Nintendo Switch iteration offers the only way to experience Lordran’s ultra-challenging odyssey in true handheld form,” they said. 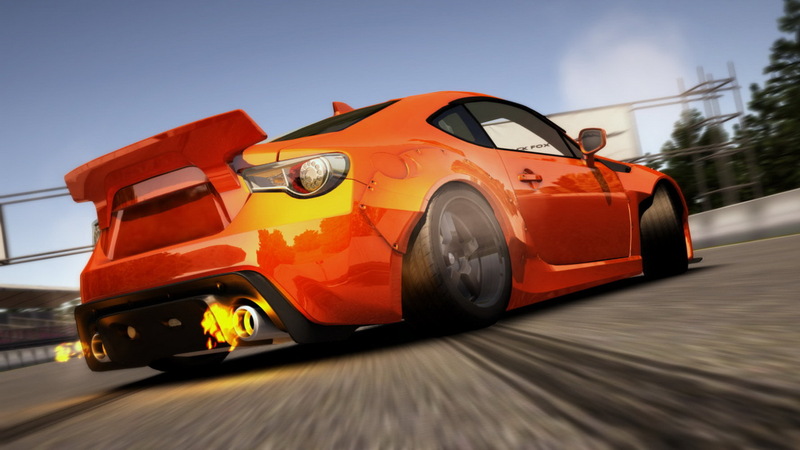 Backing this up, we have IGN’s 9.5. “While the Switch version may lack some of the higher-end features available on other platforms, it still presents a more pristine version of the original, and importantly adds the exciting and absorbing dimension to explore Lordran on a portable device,” was their verdict. Anther Souls-alike also hits the Switch this week, in the form of SINNER: Sacrifice for Redemption. This boss-rush style adventure has a unique feature – it’s about levelling down, rather than levelling up. Despite much promise, review scores are wildly mixed so far – everything from The Xbox Hub’s 8/10 to The Daily Dot’s 1.5/5. Ouch! A swarm of other big-name releases either are out now or due tomorrow (Friday). 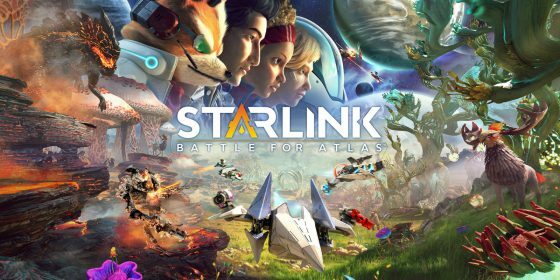 These include the NBA Jam inspired NBA 2K Playgrounds 2, SEGA’s sensibly priced (£15.99) HD re-release of Valkyria Chronicles, the Elite Dangerous/No Man’s Sky hybrid Starlink – which features Fox McCloud exclusively on Switch – and LEGO DC Super-Villains, which aims to prove it’s good to be bad. Going back to indie titles, there’s The Room – a highly acclaimed puzzler, which garnered several awards on mobile and PC – and Pizza Titan Ultra, which we described as a combination of Crazy Taxi and Blast Corps in our review. 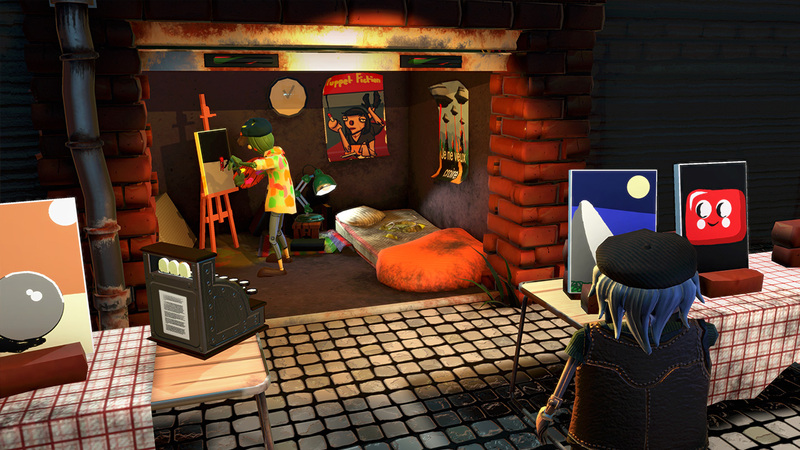 They’re joined by Passpartout: The Starving Artist – an enticing curio that entails living the life of a starving artist, creating and selling paintings to fund an expensive baguette addition. Colour us intrigued. The 3DS also gets its big winter release this Friday – a remaster of the GameCube launch title Luigi’s Mansion. Don’t let the fact that it’s 17 years old put you off, as it remains a joy. Digital Foundry’s exposé is well worth a read. Here’s the full line-up of new titles, along with discounts and pre-orders. Take up the mantle of the Chosen Undead and undertake a pilgrimage to Lordran, a land tainted by a terrible curse. Master Dark Souls’ intricate combat as you battle against Hollows, demons and all manner of monsters in your quest to ring the Bells of Awakening and discover what caused the realm to fall to ruin. In the world of Valkyria Chronicles, the year is 1935 E.C., and the continent of Europa has been plunged into the Second Europan War between the Autocratic East Europan Imperial Alliance — also known as The Empire — and the Atlantic Federation over the precious resource Ragnite. The Empire is sweeping through the continent like an unchecked wildfire and has its eyes set on the rich Ragnite deposits of the Principality of Gallia. Although peaceful Gallia remains neutral in the conflict, its citizens will need to defend home and country against the inevitable invasion. Follow Lieutenant Welkin Gunther and the vaunted Squad 7 of the Gallian Militia as they take on the seemingly insurmountable forces of the Empire. I Hate Running Backwards is a never-ending adrenaline-packed shoot’em down roguelite that puts the emphasis on destruction and fighting never-ending waves of enemies while time-travelling through procedurally generated, fully destructible worlds! With two main modes, enjoy countless hours exploring, destroying and corrupting the world of humanity in this strategic tower offence! Personality and Psychology Premium app helps in getting you an analysis of your personality and psychology score. WILL: A Wonderful World features a fantastical tale and cast. A quiet nerd stuck in a hopeless, one-sided crush. An impoverished artist who’s lost all hope and contemplates suicide. A rookie police officer who burns with justice and hopes for his first big case. A young woman desperately chasing her dream against all odds. Even a stray cat who would be satisfied with some dried fish to eat! You must guide their fates, find the links between the storylines and find the best path for all of those in need. For your own Zen masters in training, Color Zen Kids is a fun new twist on the critically acclaimed puzzle game. With simpler puzzles, larger shapes, and a kid-friendly animal theme, it’s a game they won’t want to put down. Now everyone in the family can find their way, with Color Zen Kids! A darkly humourous world, built with loving care, pixel by pixel. Visuals which recall a classic era of gaming portray a rich, picture book world. Completing each stage will reveal more of the mysteries which shroud the dark, fairytale-like exterior. It’s the biggest Jackbox Party Pack yet with five party-saving new games! Play using your phones, tablets or computers. No extra controllers needed! The #1 Hunting Arcade Game in the world is now available for your console. Big Buck Hunter will bring the arcade experience to your living room with this fast paced arcade shooter! The all new control and aim mechanics will make this a must pick up and play arcade shooter experience. Next week: MY HERO ONE’S JUSTICE, Project Highrise: Architect’s Edition, Windjammers, Nickelodeon Kart Racers, Friday the 13th: Killer Puzzle, Black and White Bushido, Aqua TV, Puzzle Wall, Super Hyperactive Ninja, Pinstripe, 7 Billion Humans, SpiderSolitaire BLACK, Eternum Ex, Chicken Range, and 911 Operator.